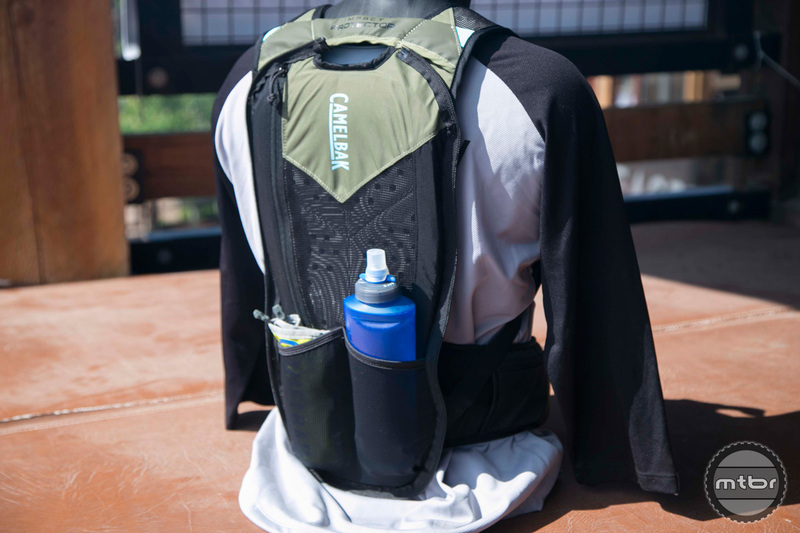 CamelBak’s Chase Vest is a minimalist hydration pack that’s ideal for fast and light missions like gravel racing and mountain biking thanks to its large, accessible front pockets and a 1.5L reservoir. 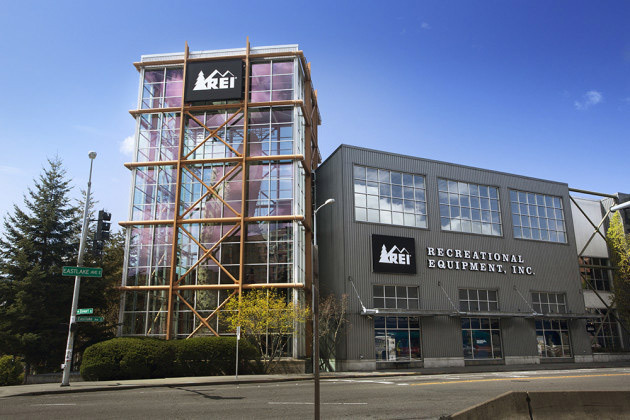 The reboot of the M.U.L.E. 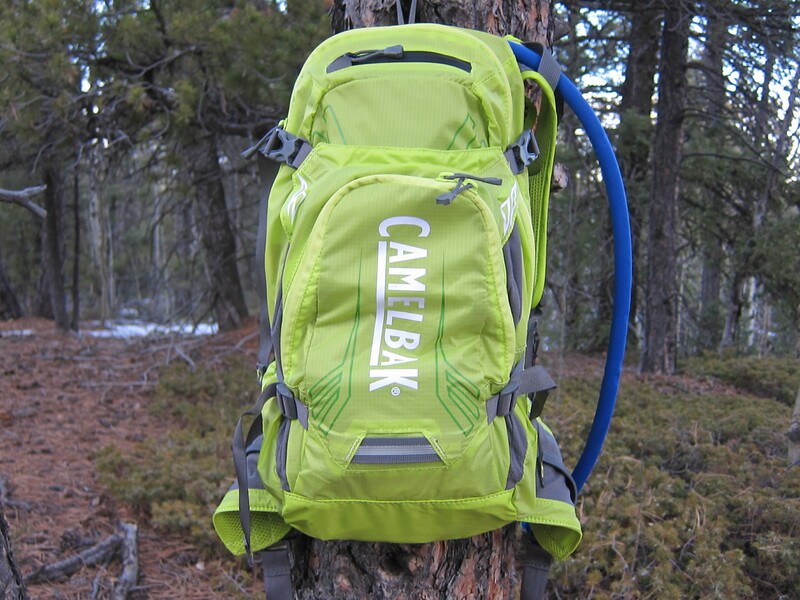 LR 15 has CamelBak doubling down on its lumbar concept, with 100 percent of its high-end mountain bike packs now featuring the lower reservoir orientation. 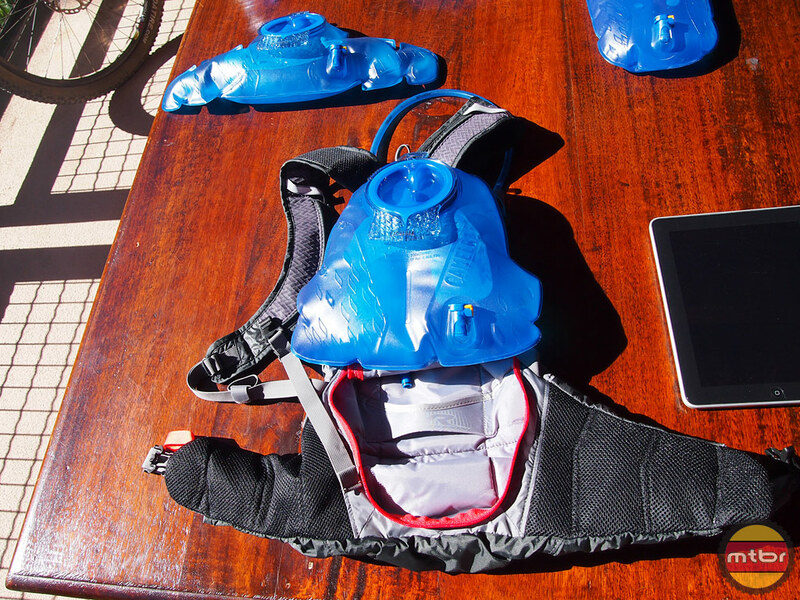 The guides of Western Spirit Cycling are the ultimate hydration pack testers. 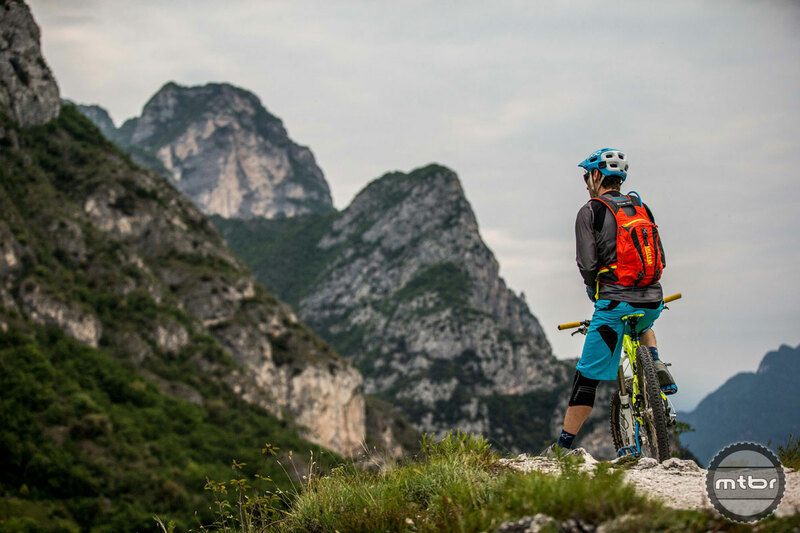 During the course of a year, these two dozen Sherpas on two wheels lead some 1200 clients on over 100 mountain bike trips. 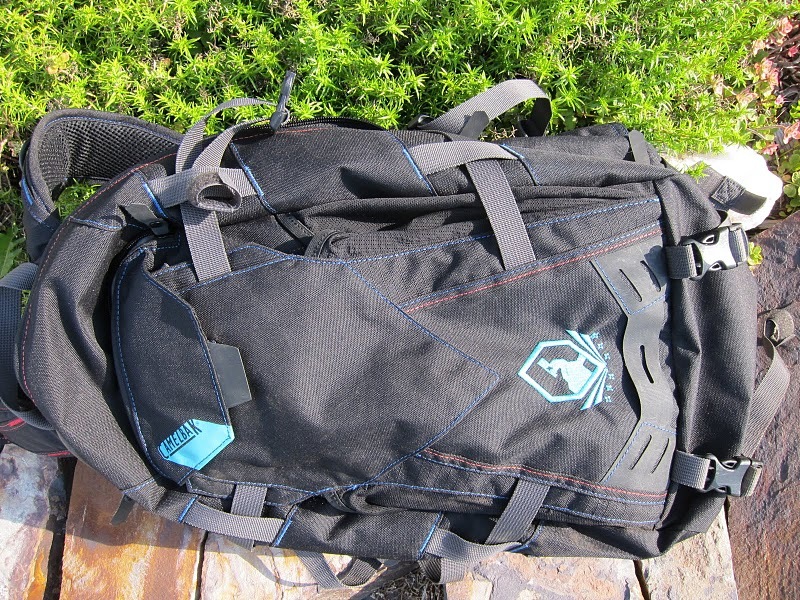 Find out what they carry. 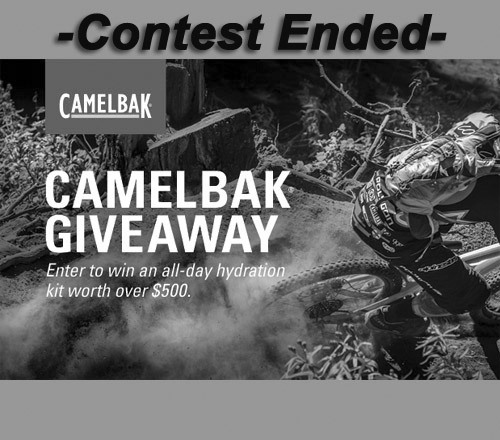 CamelBak’s place in the history of hydration is secure. 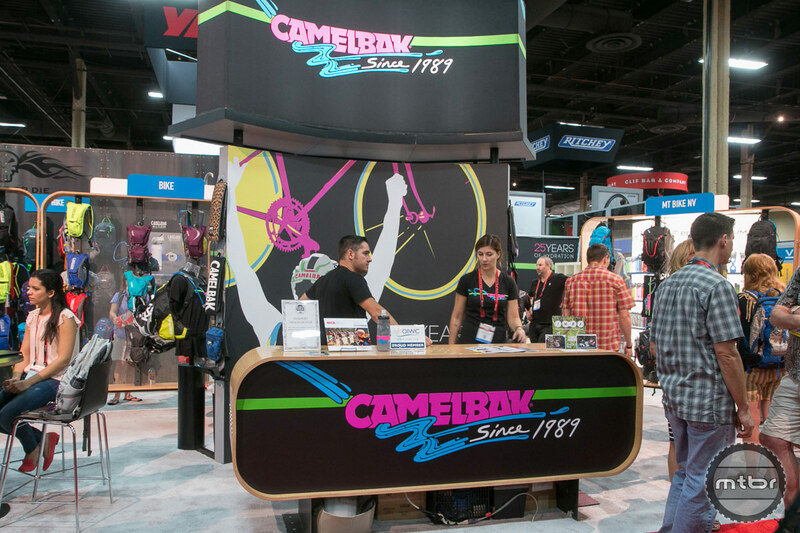 From the very idea of hands-free hydration to cutting edge present day packs, the California-based company has been at the forefront of keeping cyclists (and outdoor enthusiasts of all types) performing at their best. 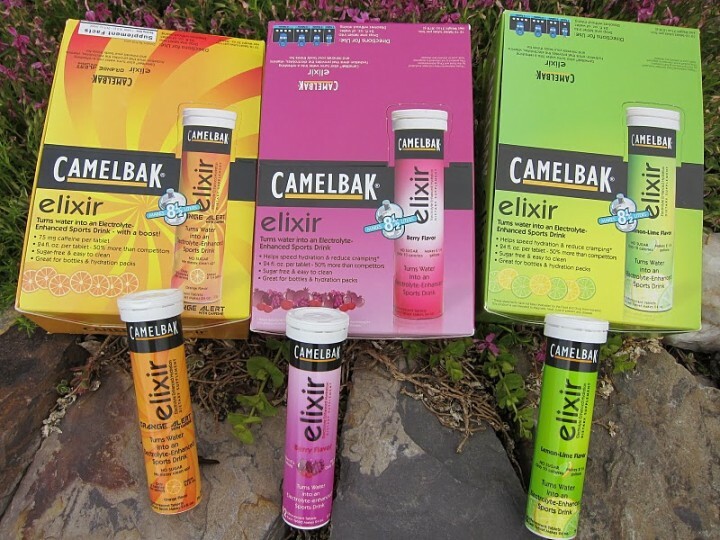 But how did it happen — and where do we go next? 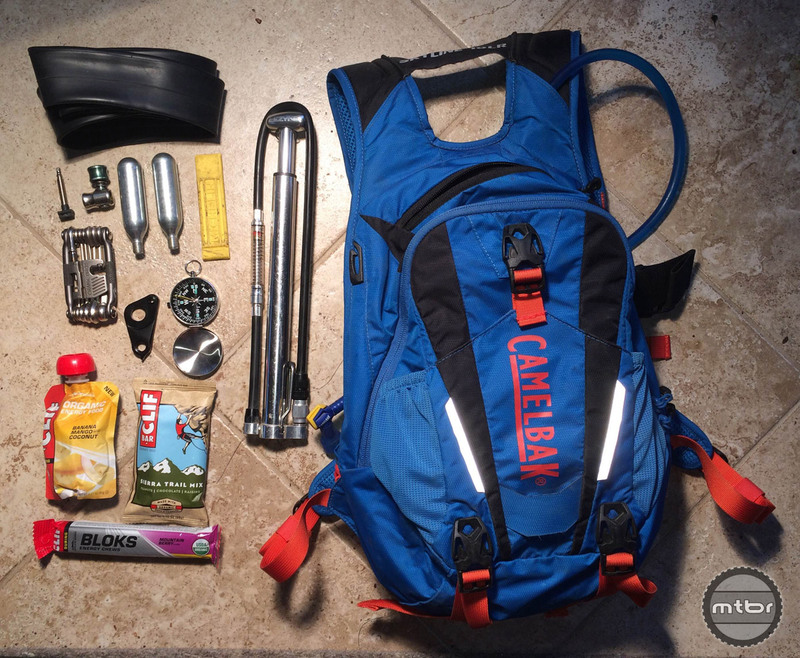 Carrying water, tools, and supplies is a must on long rides. 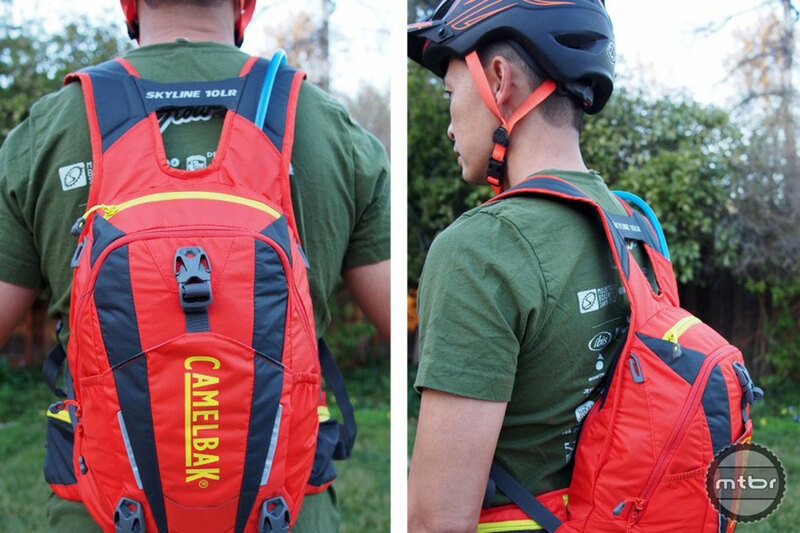 But not all riders are thrilled with the idea of having a bag on their back that shifts around and affects ventilation. 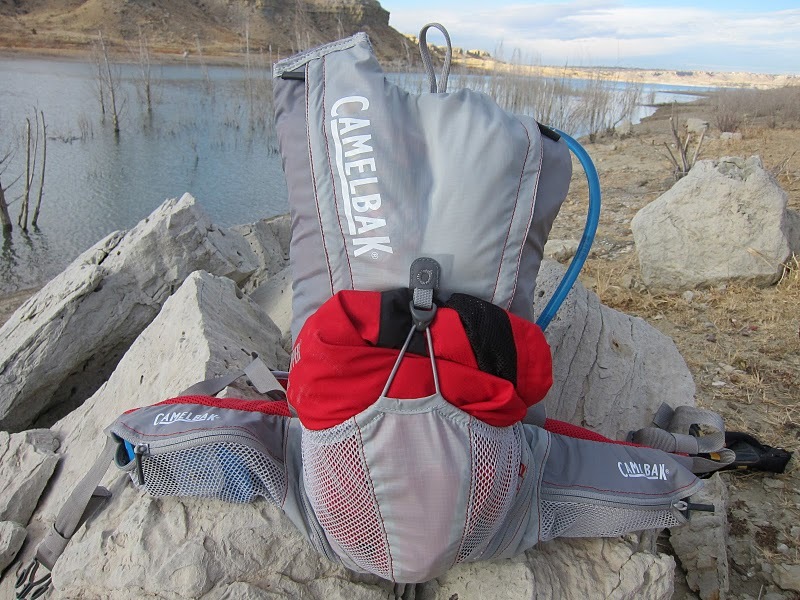 CamelBak aimed to address these issues with its new Skyline 10 LR hydration pack. 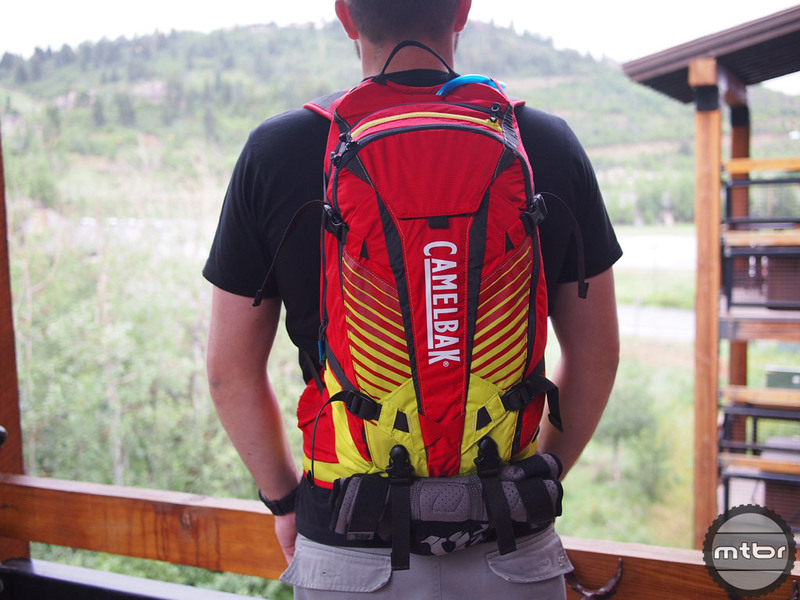 Say what you will about fashion implications, but when it comes to ripping around on mountain bikes, the CamelBak Palos 4 LR waist pack makes a lot of sense. 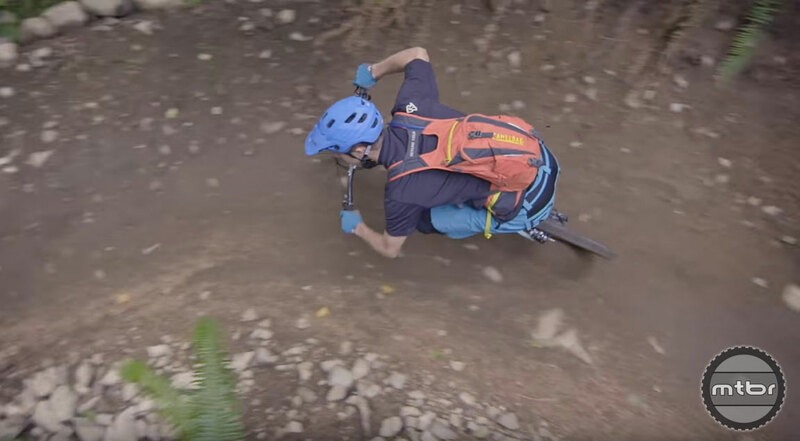 Listen up as this trio of gravity racing stars talk gear selection, packing strategies, and what they bring along on rides when they know things could get weird. 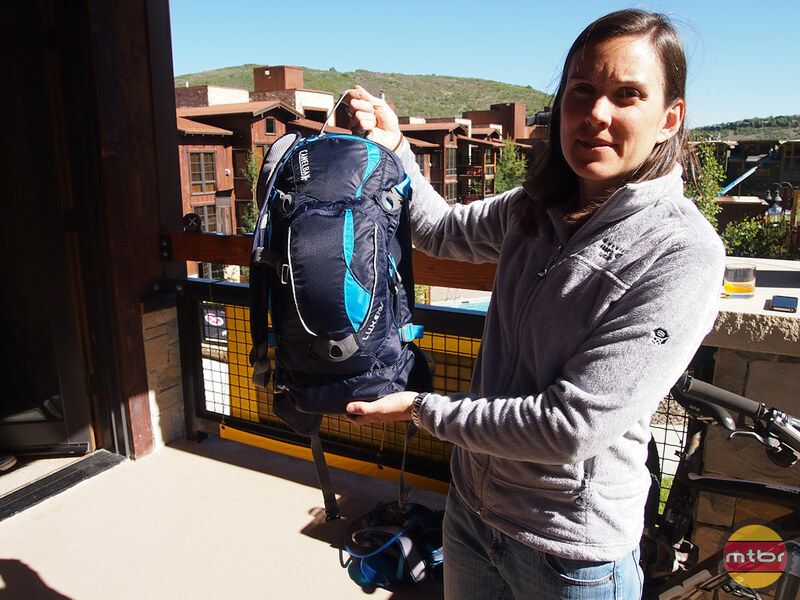 Rebecca Rusch’s nickname says everything you need to know about her. 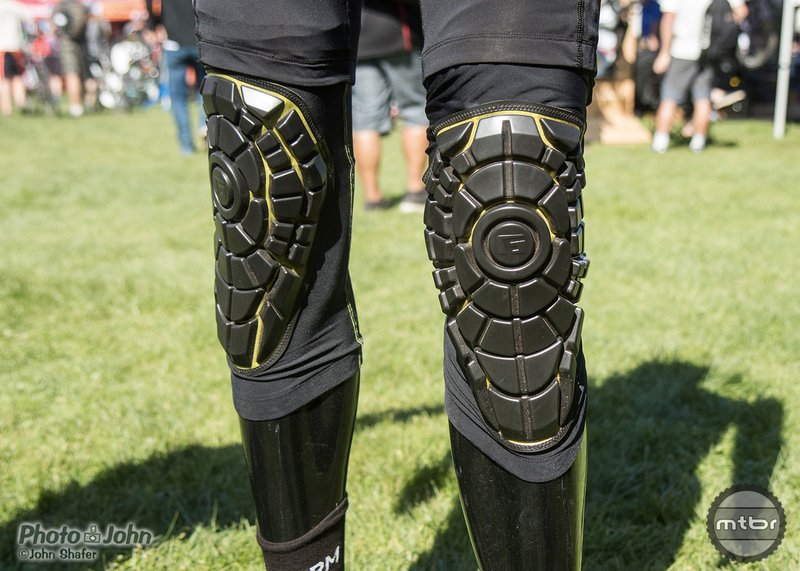 The Ketchum, Idaho resident is the Queen of Pain. 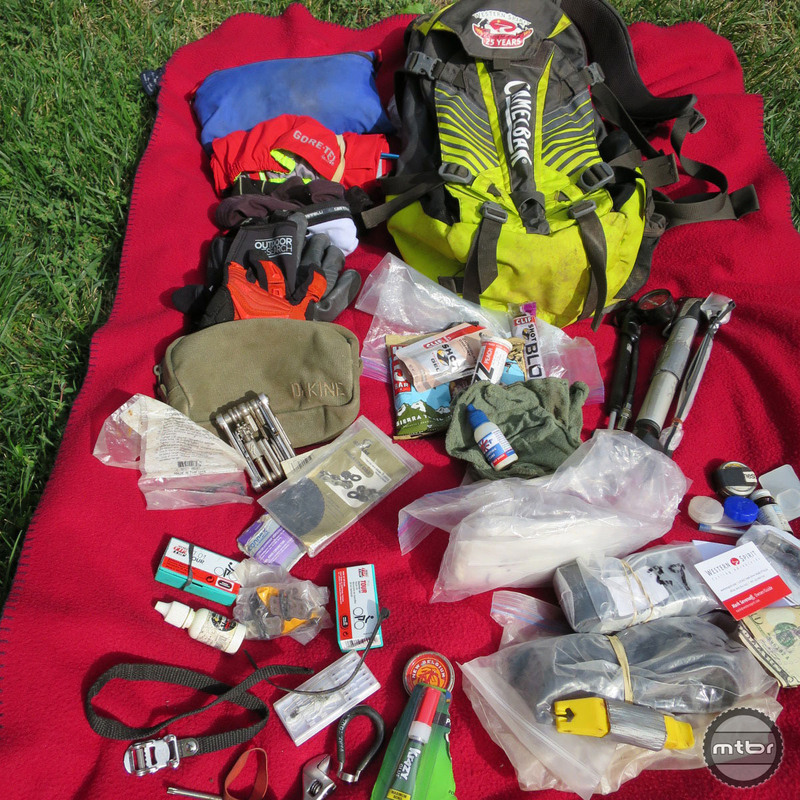 Find out what gear this long distance specialist never leaves home without. 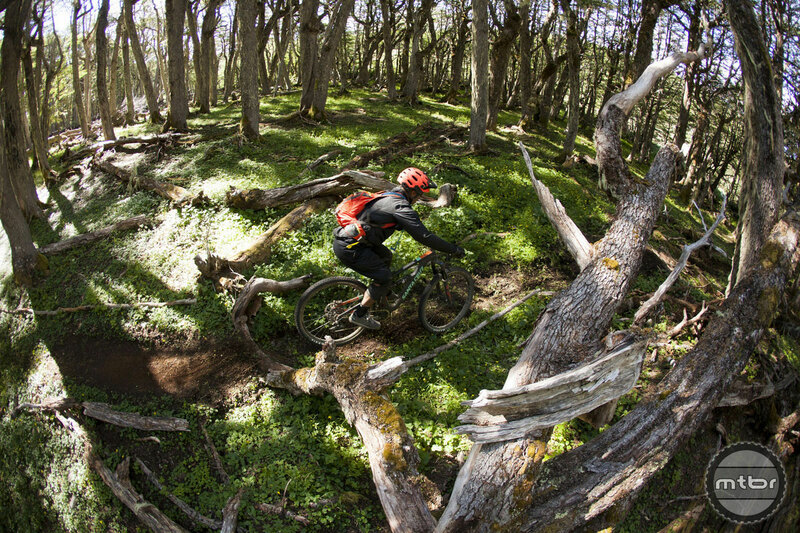 Many a lasting friendship has been built around the mutual love of riding mountain bikes. Mark Weir and Ben Cruz are the perfect example, as you can see in this shred session in California’s Sierra foothills. 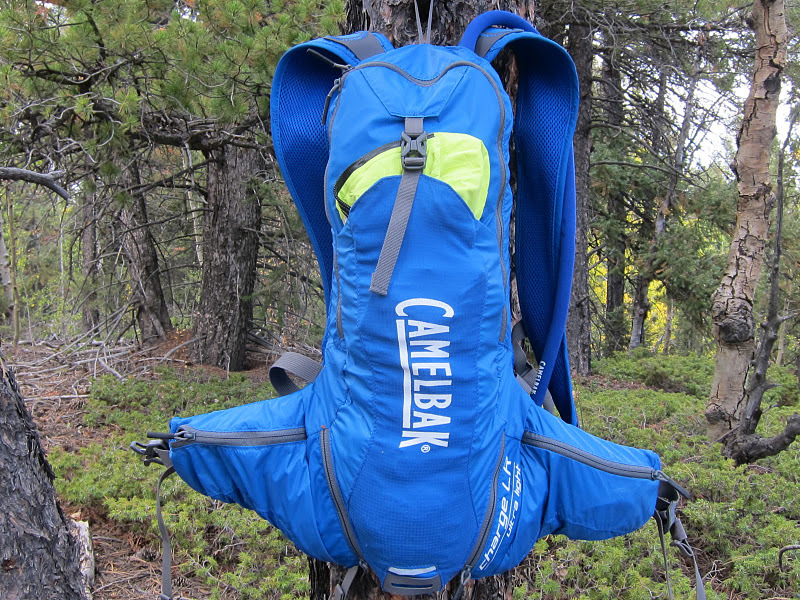 We often take potable water for granted in the United States, but clean water isn’t always available when traveling abroad or camping, which is where a portable filtration system like the CamelBak All Clear comes in handy. 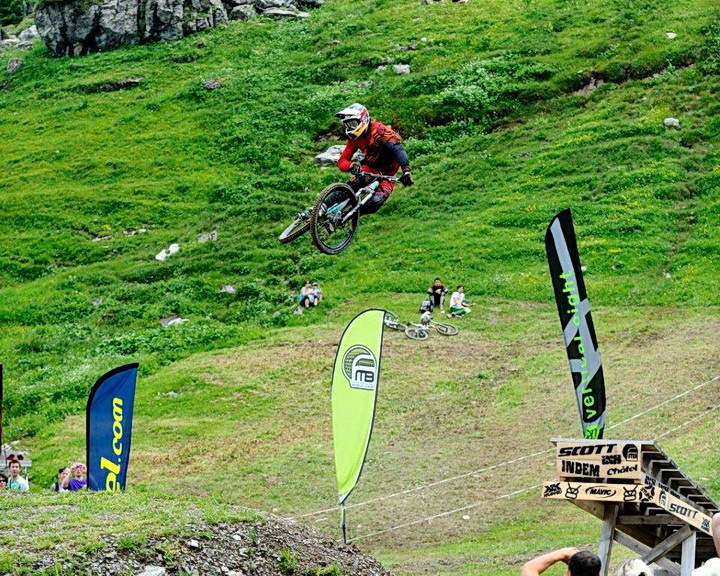 Yuri Hauswald knows how to go long. 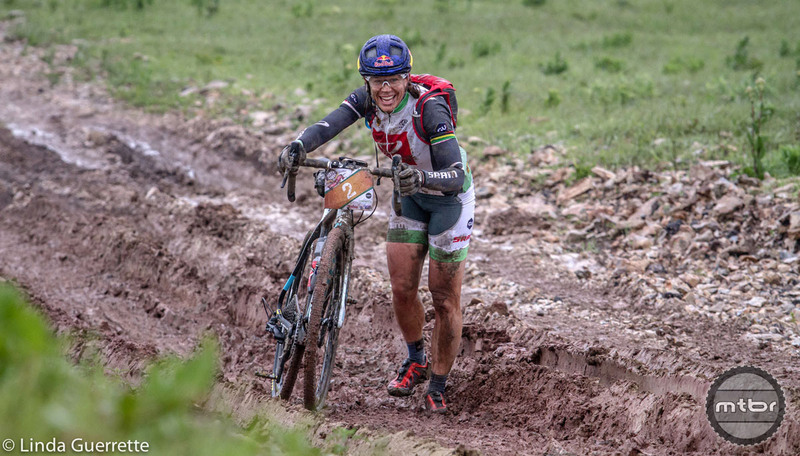 Whether it’s 24-hour racing, epic gravel grinders, or cross-country stage racing, the California resident has a penchant for logging major miles — and doing it at the front of the pack. 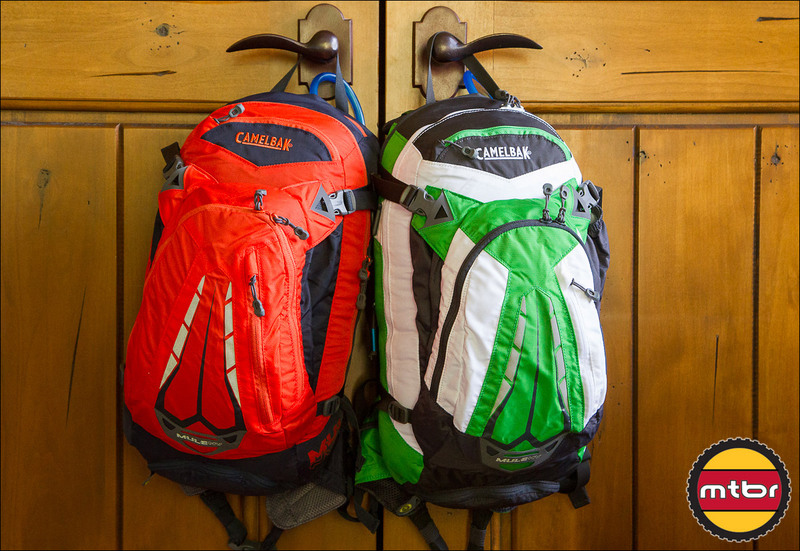 The right pack needs to fit you — and your on-bike needs. 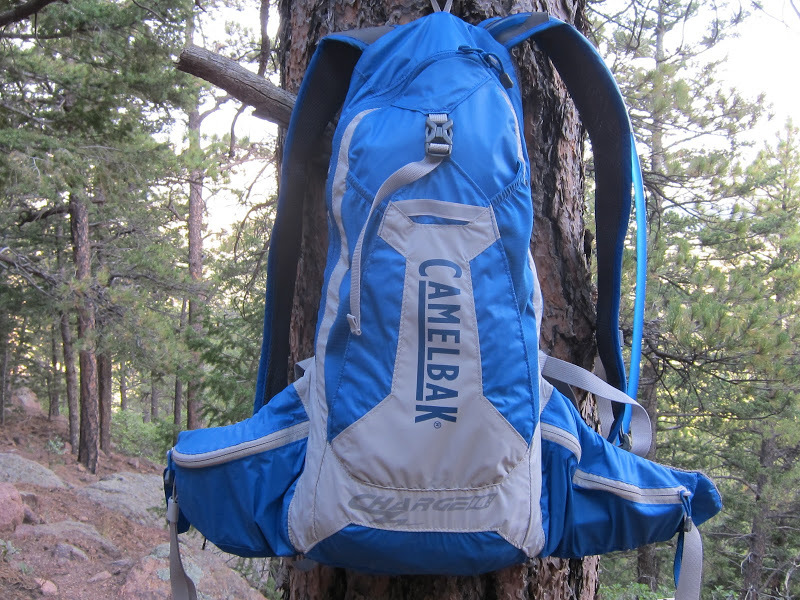 Here’s a look at why hydration packs are a critical piece of gear and how to select the right one. 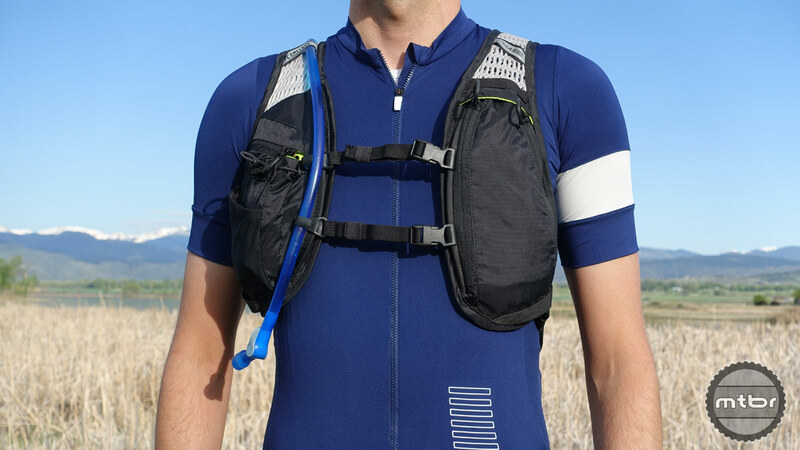 By positioning water and cargo weight on your hips, this unique hydration pack lowers a rider’s center of gravity, giving them better balance and more stability on the bike.This also reduces the upper portion of the pack, improving back ventilation and freedom of movement so you can rail tight turns and berms like never before. 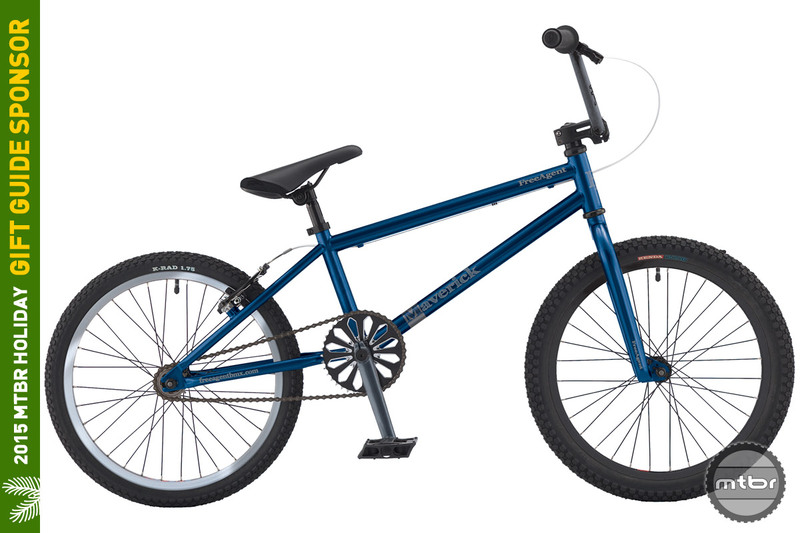 Forrest Riesco and Trevor Porter don’t just go for rides. 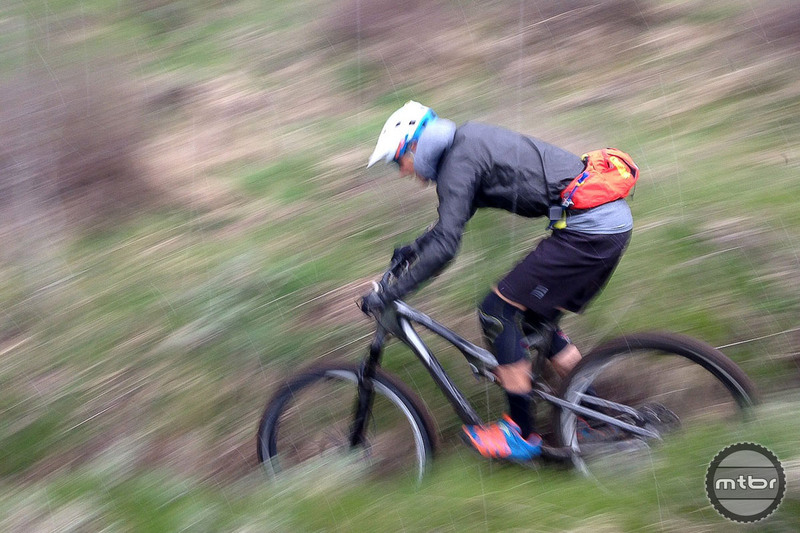 They attack the trails with skilled precision and speed. 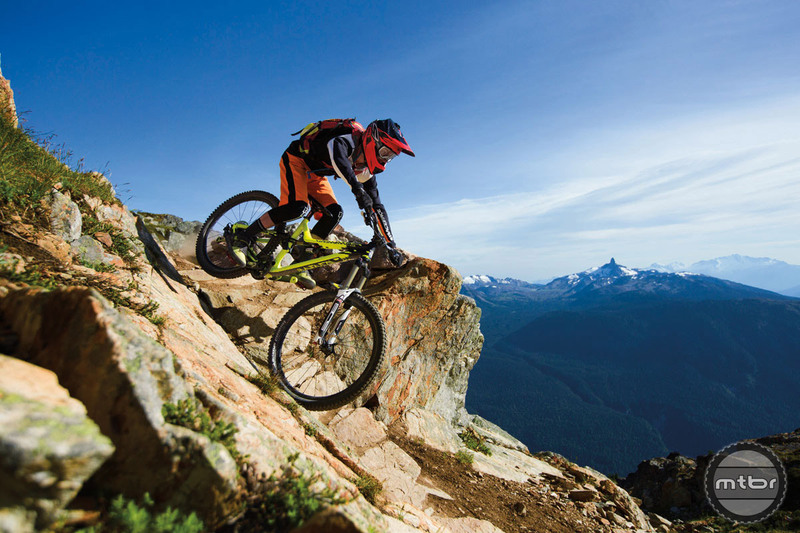 In this film by Maxwell Frank, the pair of pro riders demonstrate those abilities in the lush rugged terrain of British Columbia. Rémy is incredibly versatile as well, as he can ride some of the smoothest and most creative lines. 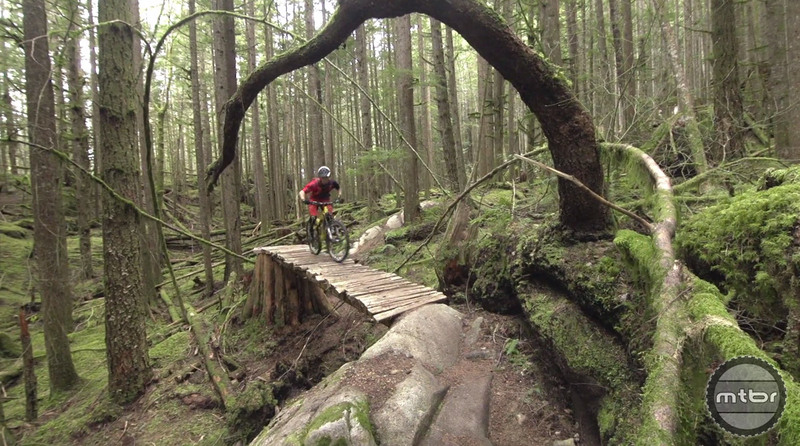 Here he showcases some of the most creative lines on the Sea to Sky trail. 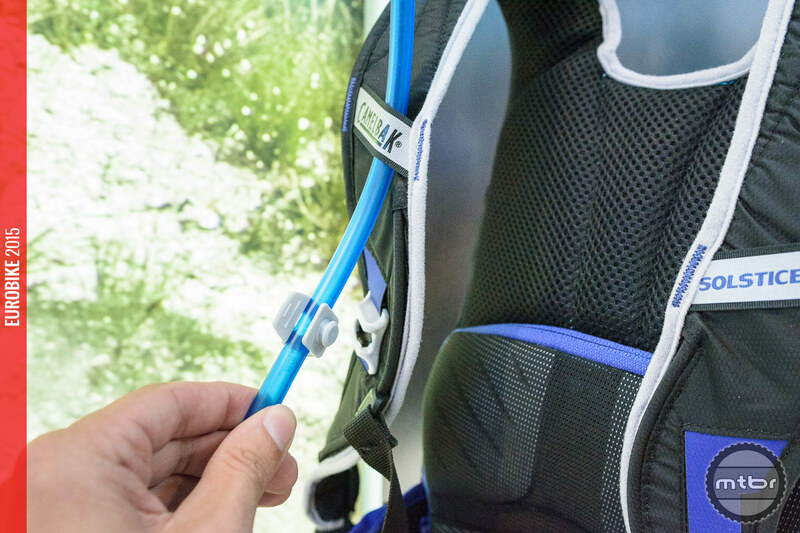 New lumbar line of hydration packs lowers center of gravity to increase rider’s freedom of movement. 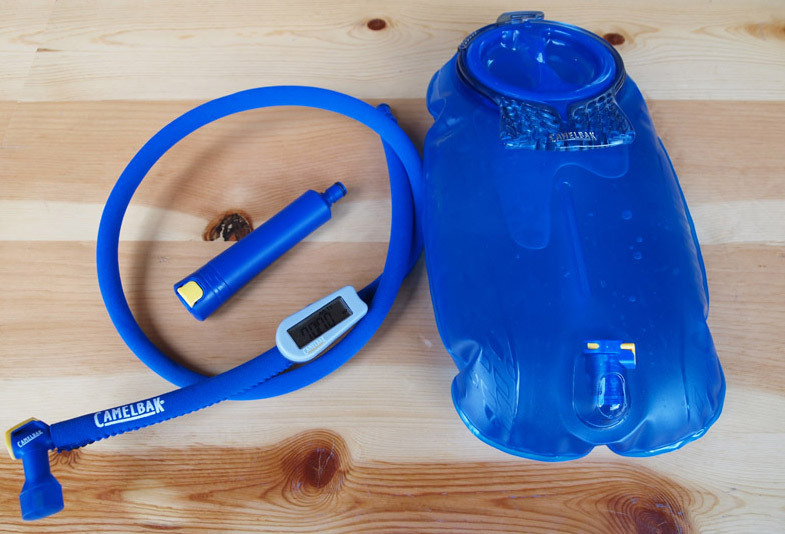 Water weight positioned on hips to reduce weight transfer to the shoulder harness. 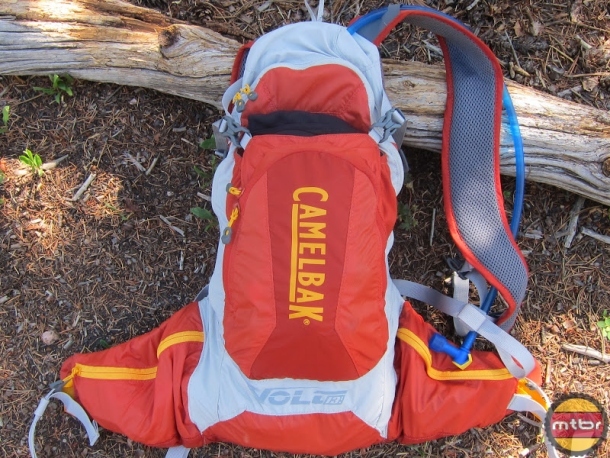 CamelBak’s KUDU enduro-specific packs that combine hydration, cargo carry and legit back protection—check ‘em out here. 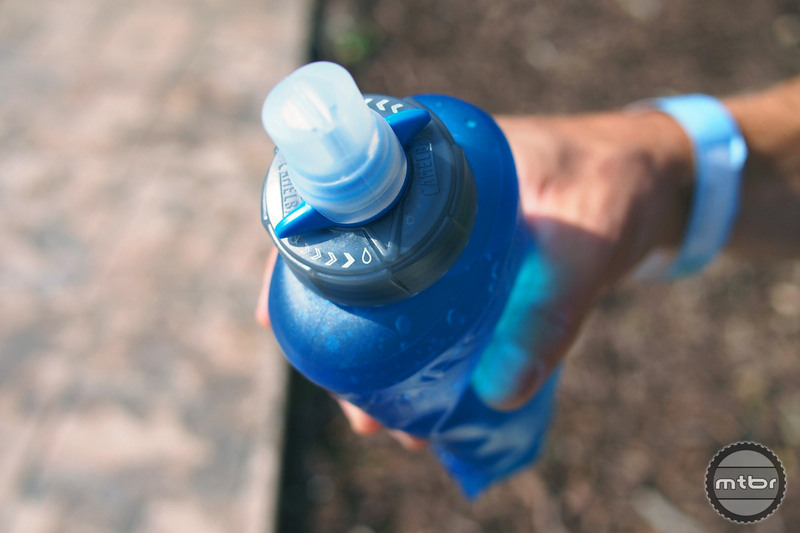 From an IV bag stuffed inside a tube sock to the high tech hydration packs of today, how we drink on the bike has come a long way. 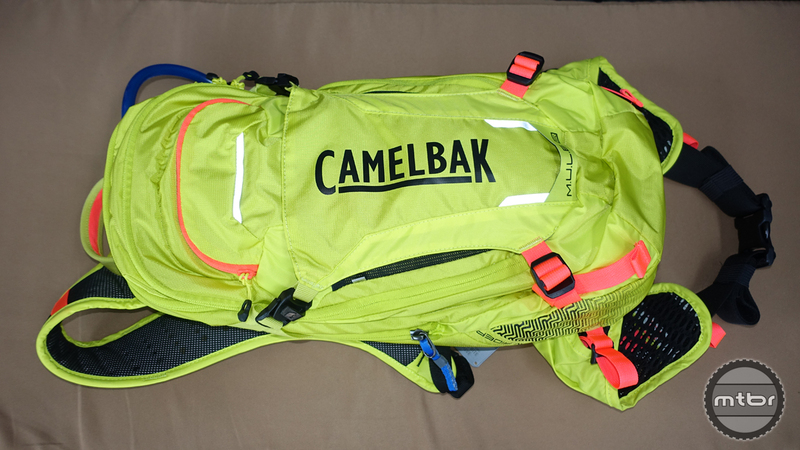 CamelBak releaes info on their new Kudu hydration pack with built-in impact protection, handy tool roll, waterproof rain cover and plenty of storage. 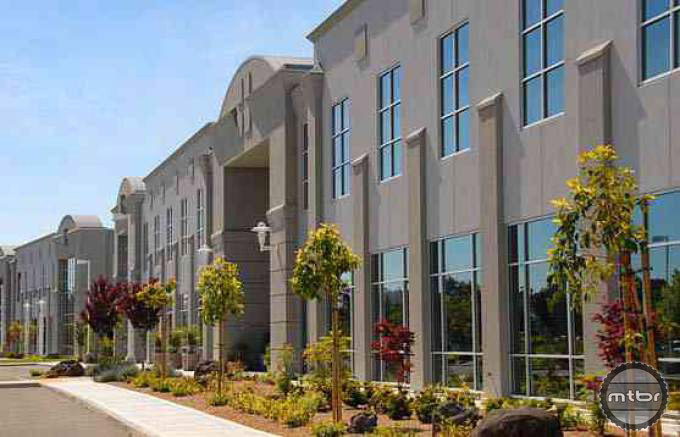 Check out the details and view plenty of photos here. 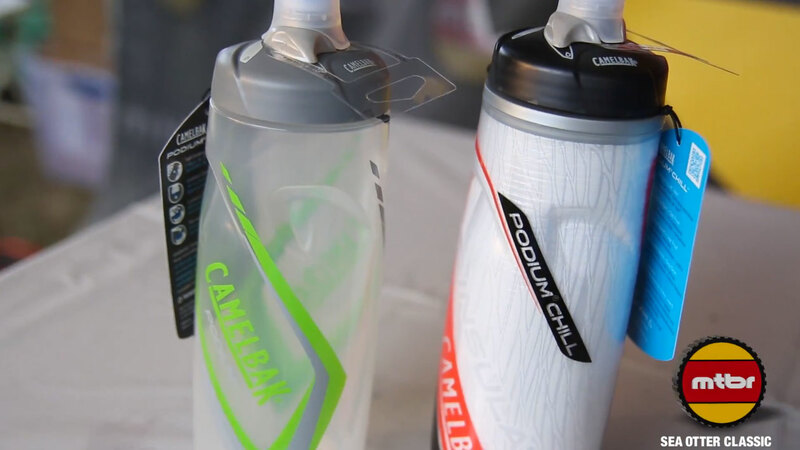 Camelbak’s made some updates to their popular Podium bottle and we caught up with Camelbak Marketing Coordinator Kevin Taylor at Sea Otter to walk us through the changes. 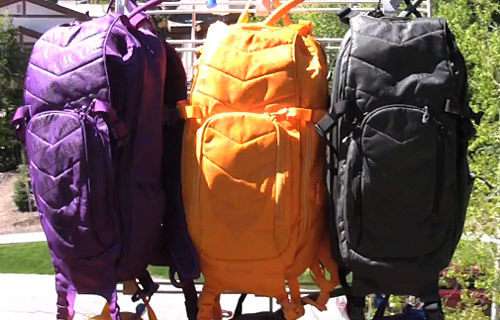 The Volt 13 LR’s innovative design, lightweight materials, soft padding, and its highly flexible nature, create a plush and comfortable pack, and it becomes one with the back, and has enough water and storage space for most rides. 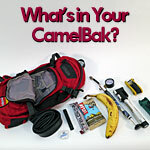 Enter the CamelBak “What’s In Your CamelBak” Photo Submission Contest and you could win a FREE CamleBak M.U.L.E. 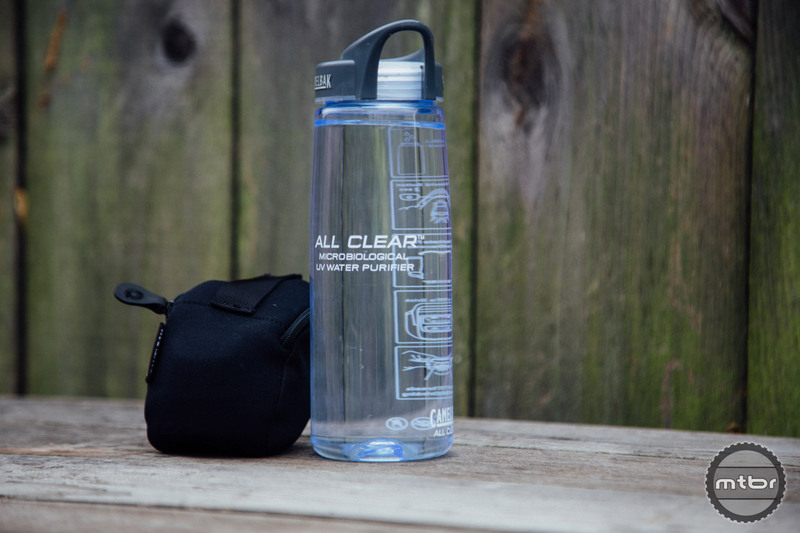 NV hydration pack! 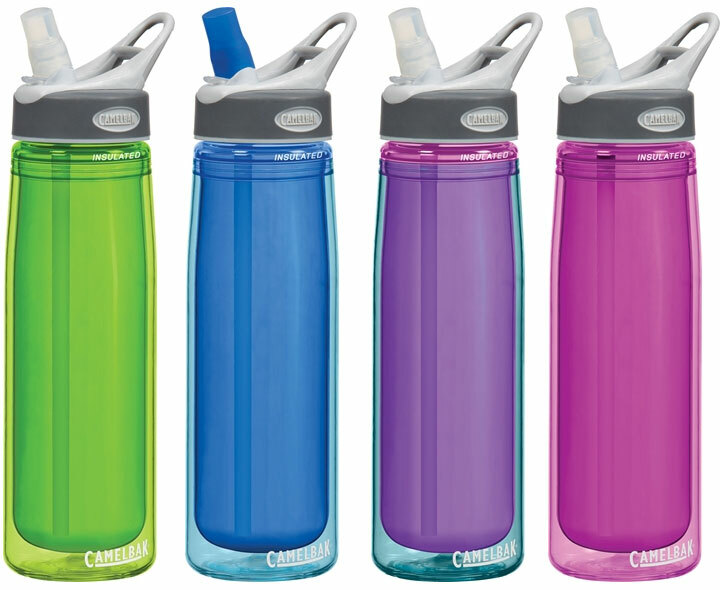 CamelBak has some exciting new colorways for 2014. 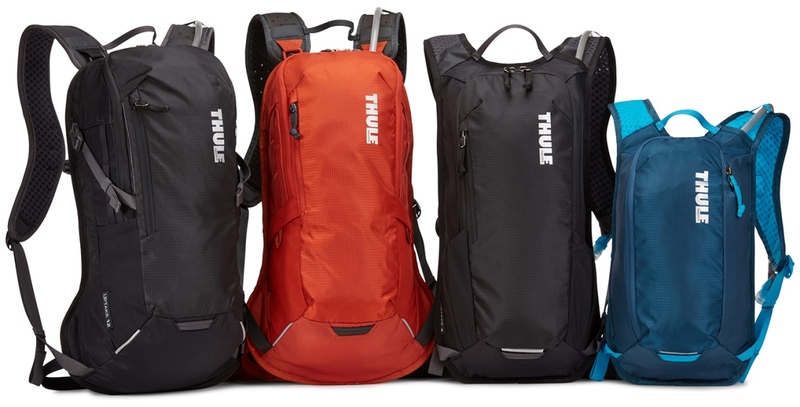 The new MULE NV, Volt 13 LR, Charge 10 LR and Spark 10 LR are all highlighted here. 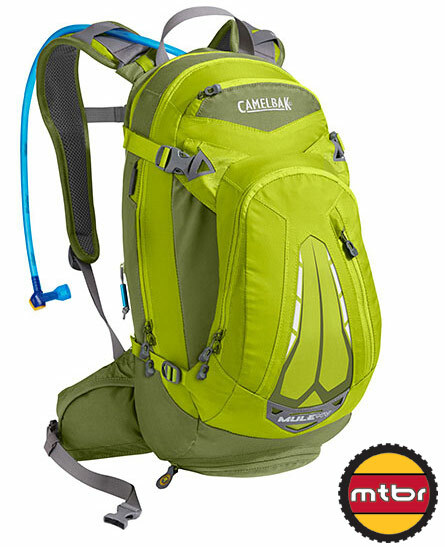 CamelBak’s new M.U.L.E. 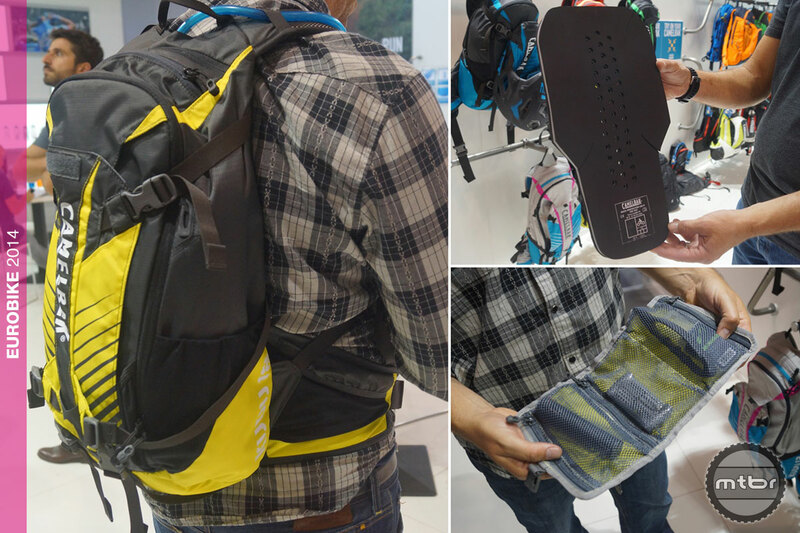 NV with new iNtegrated Ventilation back panel has four articulating pods that move to fit the curvature of your back and provide lift between the pack and your sweaty back.